How Does Media Multitasking Make Kids Feel? It's a Mixed Bag. The effects of multitasking on the brain and the way we're wired has been the subject of countless studies, radio shows, and articles. But a new study soon to be released explores the social and emotional effects of media multitasking on kids. Stanford professor Roy Pea presented some intriguing findings of a survey at the Digital Media & Learning Conference. Pea and his colleague Cliff Nass surveyed more than 3,400 girls age 8 to 12 -- a "key period for social-emotional development" -- examining how "video use and media multitasking correlates with ... social well being and friendship." In other words, how does all this media use affect how kids feel? Here's what Pea presented at the conference. The survey, which reached out to readers of Discovery Girls Magazine from across the country -- all of whom had Web access -- most of them at home -- explored the social and emotional issues that come up while they're media multitasking. Some of the criteria: age, access or ownership of technology, relationship with friends who their parents think are bad influences, amount of sleep, what media they consume, what media they engage in while using other media, and their general social outlook. Talking on the phone and interacting online was associated with more peer pressure, but at the same time, with greater social success. 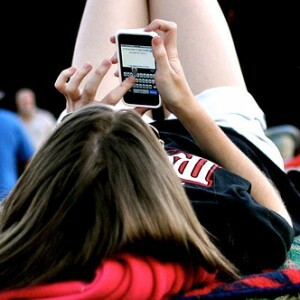 In terms of media activities, the survey examined watching videos, listening to music, reading or doing homework, emailing or sending messages, posting on Facebook, texting or instant-messaging, talking on the phone or video chatting, as well as the great old medium of face-to-face conversation (which is now considered a medium). The survey asked questions about how many hours per average day the respondent participates in one of those media, whether they engage in different media at the same time, and how they feel while they're engaging in each of these medium about the number of friends they have, their feelings of normalcy, whether they sense peer pressure, and how much sleep they get. That their average media use per day is 6.9 hours is not surprising. What is interesting, though, is the correlation between watching video and listening to music and the girls' emotional disposition. According to Pea, the girls felt worse -- less social success, less feelings of normalcy, and more exposure to friend their parents think are bad influences -- while they were "using" video and music. And the same negative outcomes applied to when they were media multi-tasking. On the other hand, they felt better -- greater social success, more feelings of normalcy, less peer pressure -- when they had face-to-face interactions. And here's where it gets to be what Pea referred to as a "mixed bag": non-face-to-face social interactions -- talking on the phone and interacting online -- was associated with more peer pressure, but at the same time, with greater social success. Pea pointed out that the study is limited in some ways. It could be that there are "strong negative correlations for video use and positive social feelings, but we can’t conclude that watching high volumes of video is responsible for the situation," he said. "It could be that due to low positive social feelings, loneliness, awkwardness, alienation, participants turn to video watching instead of face-to-face interaction. And we don’t know the content of video use." Pea added that though this is the first study of its kind, they're only "scratching the surface," and that more longitudinal and intervention studies are needed. Studies about media production and engagement -- not just consumption -- will help complete the picture. These studies can help parents understand the impact of media use and the social well-being of their kids. "[Kids] are making these choices largely on their own," he said. "And parents have little say other than casual observations or asking children about their choices." I look forward to reading more about the study.